• During the 30-month period from March 1, 1988, through August 31, 1990, image-guided aspirations of 183 solitary occult breast masses, which were considered possible cysts, were performed. 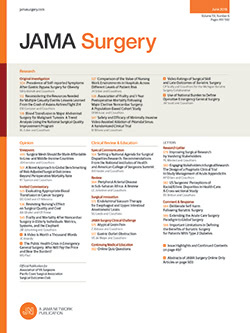 Indications for aspiration included (1) mass on mammography, either invisible on ultrasonography or with features atypical of a cyst, in 111 patients; (2) enlarging solitary mass on mammography with ultrasonic features suggesting a cyst in 45 patients; and (3) mammographic mass with features typical of a cyst in 27 patients, with confirmation requested by the referring physician. Of the group, 151 (83%) lesions were fluid-filled and 32 (17%) were solid. All aspirates had normal cytologic features. Of the 32 aspirates found to be solid, 19 were subsequently removed after wire localization and 13 were unchanged on mammography for a minimum of 6 months after aspiration. This is a simple and safe procedure, confirming the innocuous nature of an occult solitary breast cyst, and obviates the need for surgical biopsy.